In collaboration with “Give India” and other donors, Priyadarshini Seva Mandali has organized education and medical support program for the HIV/AIDS children for providing them a shining tomorrow with the gift of perfect health and a future. 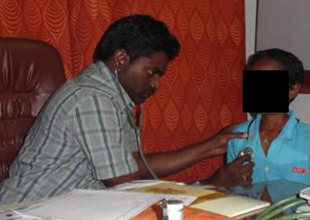 With the HIV/AIDS Children Education and Medical support programs, we work in several mandals of Khammam district. We have reached to nearly 60 children for medical support and 25 children for education support. All the beneficiaries of this program belongs to the under privileged part of the society, who needs our support to come out of the shell of poverty they live in.